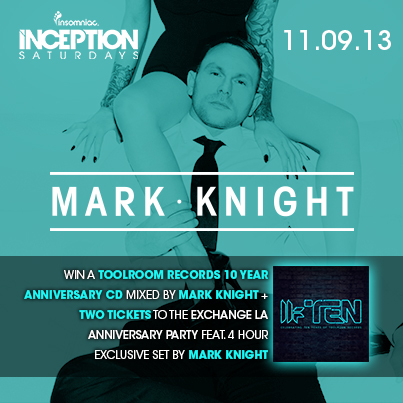 Win Two Tickets to Mark Knight + Sleepy & Boo at Marquee NY! After a year of huge releases celebrating the tenth anniversary of his label, Toolroom Records, house music veteran and industry leader Mark Knight is preparing to yet again make his mark on New York City. Known for his performances at Sensation and festivals worldwide, Knight will be joining Sleepy & Boo at their residency at Marquee NY this Friday, the show that's flanked by the unbeatable Funktion One sound system will be a must see for any fan of house music. We've got two sets of tickets to give away to the January 10th show, so enter below to win or purchase them HERE.